I have been talking about Moven for a while now on the conference circuit, to an audience that included bankers and investors in fintech. Here are my main talking points, in a more elaborate version than what I say on stage, where time slots are tighter. Moven is a “fintech” “neo-bank” early stage startup. By fintech we mean we are using technologies such as cloud and mobile devices to deliver a new, improved customer experience, and innovate on the financial services we deliver. By neo-bank we mean we offer banking services to customers by aggregating various back office banking providers, while we stay as the brand in front of customers, and have ownership of the overall experience and new innovative features. In the US, the Moven mobile app is available in the app stores, and new customers use it to open a deposit account. We send them a debit card linked to the account, and for them we are their bank. Moven customers have access to spending analytics features and real-time feedback on their money management activities, and we have proven that they get better at managing their finances over time. We can say that the Moven software acts as an “always on” financial advisor for spending, a necessary preliminary step for all customers that care about their money and about their future. 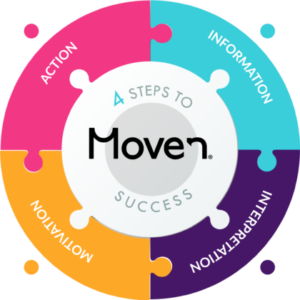 Moven also acts as a Software-as-a-Service provider to those banks that decide to accelerate their digital transformation by using various components of our software. Earlier this year (2016), TD Bank in Canada has launched TD MySpend, and WestPack New Zealand has launched CashNav, both solutions developed in collaboration with Moven. Regulation: How do you navigate this highly regulated industry and how do you approach regulators? 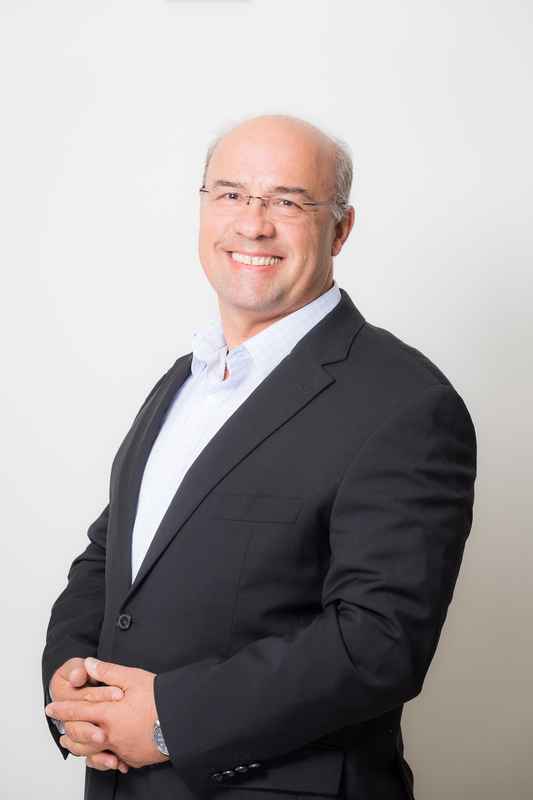 Moven is partnering with existing, highly regulated financial institutions that provide back office, core banking, compliance, transaction processing, fraud and risk management. We do not have a banking license, however it would be good for us and other fintech startups if regulations will be adopted in the future to allow us to have, for example, a banking license without lengthy delays and significant capital commitments. Disruption: For years, there were very few companies in financial services, what has changed that has caused this influx of disruption in Fintech and created opportunities for yourselves? We see ourselves less of a disruptor, and more of a scout, showing the path forward for financial institutions. Banks worldwide have been very early adopters of information technology, a decision that both allowed them to grow tremendously and live today under the burden of legacy systems. Newer technologies and methodologies for software development, new cheap and reliable deployment infrastructure (cloud), new delivery devices (mobile phones) have created the opportunity for startups to start exploring new ways of delivering financial services and bypassing banks. We have yet to see innovations in the fundamentals of banking, even though we are optimistic they will happen. We are now focusing on a better customer experience and new, different ways of providing financial services. Banks: What is your perspective on banks? How do you think about incumbents – are they all dinosaurs or are they on your roadmap for partnership? Nothing prevents banks from acting like a fintech startup – except organization size, inertia, outdated decision-making processes, and an insular mindset. We think that incumbent banks as a group will be able to adapt and transform – sooner or later. However, the path is not easy, many will make mistakes, start too late, never get there. Our recommendation to our partners and potential partners is to work with fintech startups and incorporate their solutions in the fabric of the bank. And avoid “innovation theater” – where the objective is only to get good press. The adoption of solutions from fintech startups has to be supported by a solid business model, and the partnership has to be based on the most solid foundation possible: a paid invoice. Customer Acquisition: We all know the importance of customer acquisition. What are some of the innovative ways in which you acquire customers? This is the most important topic for all fintech startups and the subject of a lot of misdirections and smoke and mirrors. We have a very clear definition of a customer – an individual who opened an account with us, has the Moven app and a debit card with the Moven logo on it. It is very difficult to get people to switch banks in the US – there are over 15,000 financial institutions. We have learned early on that the cool factor is not enough for sustainable growth. And advertising is expensive. For us, the best way to convince people to open an account has been through partnerships with organizations that have existing relationships with segments of the population that care about their money. We can say that if someone doesn’t care about $200 they probably don’t need Moven. But if $200 is a meaningful amount for someone, they should get the Moven app. And this covers about 70% of the population of the US. Challenges: What has been one of your greatest challenges to overcome or one in which you are currently trying to overcome? When we are looking at success stories in the financial services industry, we see very few new entrants in the past 20 years, and they were all extremely well capitalized. Building a new banking experience cannot be done by three guys in a garage – but somehow the VC community expects miracles, get to profitability in 2 years and with $10mill — when known examples in the industry have used $300mill to get to success. Recent neo-bank funding trends in Europe show that the investment community is slowly coming to grips with the reality that a fintech startup cannot compete with a $20bill bank with an investment of $10mil. Business Model: What is new about your business model that gives you a sustainable competitive advantage? Moven has a unique business model, a combination of direct-to-consumer through running a neo-bank in the US, and B2B2C through partnering with banks that want to accelerate their digital transformation and adoption of innovation. We deploy new features and capabilities in the US every two months and use the flexibility of running a small virtual bank to continuously experiment with innovative ideas. Our partner banks get a tested solution, one that they can get to their customers very quickly while allowing for in-market customization. In reverse, the combined experience of partner bankers and their customers worldwide help shape the platform for all users. Surprises: What was one thing that was most surprising to you in starting your company? When we started talking with potential partner banks about deploying the Moven solution for their customers we did not know what will happen. We have met (and continue to see this behavior) with many bankers that drilled us with questions just to have enough ideas to launch an internal project. We have seen enough banks that prefer to spend $50mill on a two-year project and have a 50/50 chance of success. We tell them that they can go live with the Moven solution in the time and at the cost of a feasibility study. We have been pleasantly surprised that there are Chief Digital Officers that understand the tenets of open innovation (“not all smart people work for my bank”), and have decided to partner with Moven. The results of TD Bank and WestPack New Zealand speak for themselves – huge customer adoption, tremendous growth in engagement and customer satisfaction. We don’t think this is a power distribution market, a “winner takes it all” situation. The financial services industry is quite diverse, with over 15,000 institutions in the US alone – there is room for everybody. Even more, everybody can download the Moven app and copy it – we have seen this happening around the globe, clones that come and go as their only contribution to the fintech space is a poor imitation of Moven. In a way, it is the best compliment. The only possible way forward for us is to keep innovating, add new and different products, and further entrench our leadership position with our customers.